The overall performance of the ZOTAC GAMING GeForce RTX 2060 AMP edition is very impressive. It beats the MSI RTX 2060 Ventus OC by only a slight margin, but it can easily outperform the GTX 1060, GTX 1070, and in some cases the GTX 1080. This is all thanks to an overclocked GPU running at 1800 MHz (default boost is 1680 MHz) and of course the use of GDDR6 ram. As you can see from UL’s 3DMark Port Royal benchmark, it produced a score of 3,886 beating the MSI by 66 points. For Final Fantasy XV benchmark, the scores were very close indeed with only 3 points between them. The temperature at full load was pretty impressive with a high 66 degrees Celsius … This is all thank’s Zotac’s ICE Storm cooling solution. Like I said earlier …. There’s been a ton of heated debate on the GeForce RTX 2060. Some dislike it due to the low amount of GDDR6 ram, which can affect high-res 4K gaming, while others have praise its performance over the GTX 10 series. New graphics cards based on Nvidia’s RTX 20 series of GPUs are not cheap. 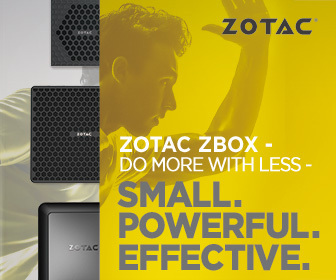 The RTX 2060 was meant to be the entry point … but hey, with the Zotac you do get the below.